Seattle authorities are luring homeless out of camps with airfare and free rent. It’s been almost three months since homeless tents began to crop up on the streets surrounding Seattle’s famous Space Needle, but now teams of city employees have begun clearing out the encampments near the tourist attraction today, after a homeless man recently attacked a tourist visiting the site. It wasn't the first such incident this summer. 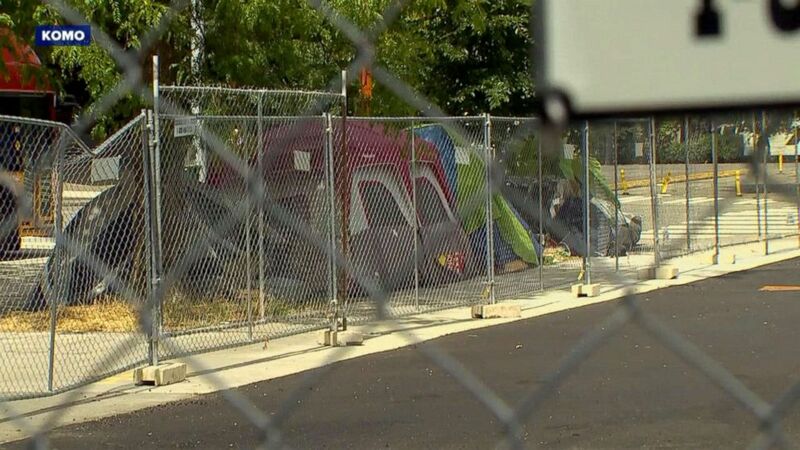 Earlier in June a family from Arizona was attacked by a man with a rope from one of Seattle's homeless camps as they stepped out of their car which was parked near a large group of tents. The homeless man had a rope and tried to strangle and punch a father after reports said the man confused one of the family members with TV star Ellen Degeneres. 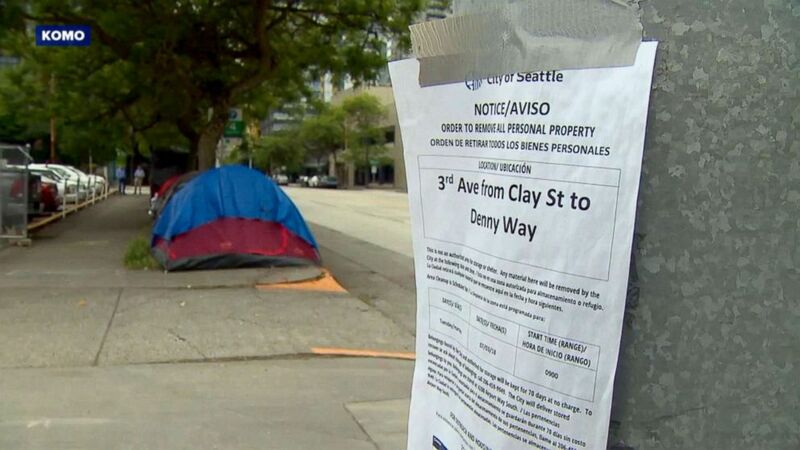 (KOMO) Seattle city officials have begun clearing homeless settlements throughout the city. Seattle is testing out other ideas, such as using tax payer money to purchase airfare for homeless people looking to stay with family in other places. Last week, two people at the camp accepted plane tickets to Kansas to stay with friends in a more stable housing situation using the taxpayers’ money. Now Durkan is willing to dig deeper than just covering homeless people’s airfare. She is now proposing paying two months rent or even paying car repairs in order to keep people off the city's streets or give them opportunities to relocate. Durken has described her plan of action as a diversion service. It “offers people experiencing homelessness one-time financial assistance or services to bypass shelters and move directly to housing,” Durken's spokeswoman Kamaria Hightower told ABC News. The theory behind the plan is that paying a little money up-front could prevent the poor from slipping into homelessness - which would end up costing tax payers more down the line. “The Human Services Department recently presented its results from the first quarter under the new accountability system, and in the first quarter of 2018, the one time services moved 221 people into permanent housing from homelessness,” Hightower said. Terry Pallas, chief program officer at Seattle’s Union Gospel Mission said that although a plane ticket or a fixed car can temporarily help, these homeless people often benefit from a more relational approach. “Navigating the range of issues [that] homeless individuals face is complicated,” Pallas said. Editor's note: This story originally reported that a new program, "head tax," would raise $48 million per year for homeless funding. "Head Tax" was repealed, so the funds were not raised.